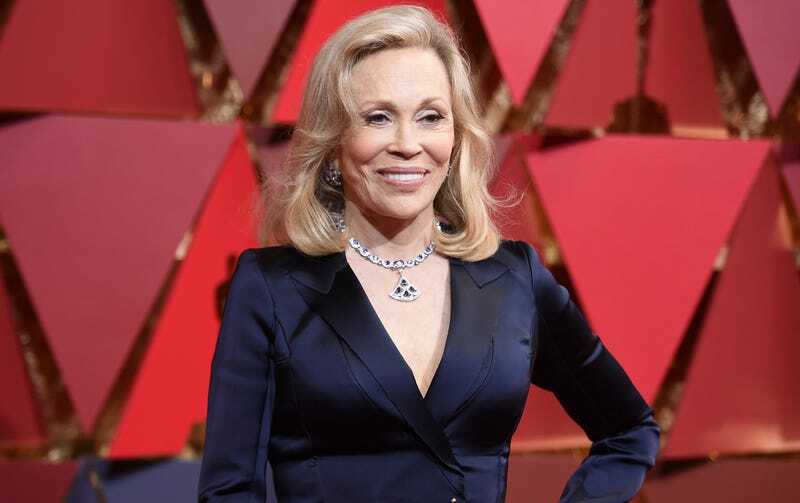 Faye Dunaway memorably took to the stage at the Academy Awards nearly two years ago, but she hasn’t been under the Broadway spotlights in a long, long time. On Thursday, Deadline reported that the Academy Award-winning actress (Network) will play Katharine Hepburn in an upcoming production of Matthew Lombardo’s one-woman play Tea at Five. Tony-nominated John Dillinger will direct. Producer Ben Feldman announced the news on the same day that a Broadway adaptation of Network opened. Dunaway last appeared on Broadway in the 1982 production of The Curse of an Aching Heart. She portrayed Maria Callas onstage, though technically not Broadway, in the national tour of Master Class in 1997. Tea at Five is expected to open in the summer of 2019 and will run as a limited engagement.